Gabrielle Union's newest campaign, featuring the four leading actresses of BET's hit show, Being Mary Jane: Gabrielle Union, Lisa Vidal, Margaret Avery, and Raven Goodwin. Aptly titled, #AllTogetherNow the campaign celebrates diverse body types and inclusivity of women of all ages. Gabrielle expressed her ideas behind her most recent campaign citing that women must unite to lift each other up and support each other through adversity. "We need to come together. Rise up. We will not be defeated." This collection will start at $34.95 and will include sizes 0-20 and XS-XXL. Beginning in April, the Company will expand the collection to include additional sizes of plus, petite, and tall. Gabrielle spoke with InStyle.com revealing, "People were like, 'We need extended sizes, we need more diversity of sizes,' and I heard you loud and clear, and I'm offering it." She continued, "I want to make easy-to-wear, easy-fit, comfortable clothing that you can wear from work to the club, and it doesn't feel like it's attacking you." 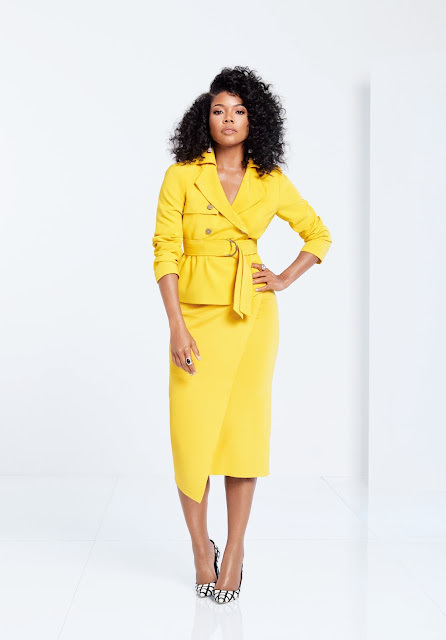 Fans of Being Mary Jane can look forward to seeing their favorite actresses throughout Gabrielle's spring and summer campaigns.